almost every 15 seconds for the buff." A friend shared this album with me. It is series of 12 screen captures from a 25 man raid team downing all 6 of the bosses from the Heart of Fear. The cool part, they are all warlocks! 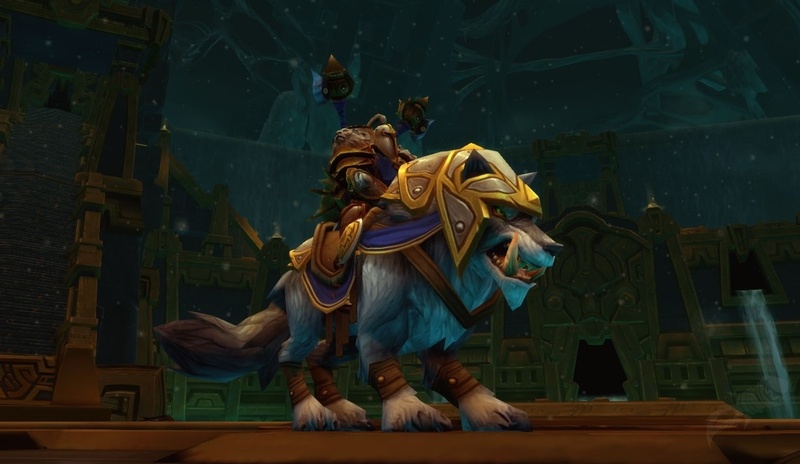 I think this is pretty awesome that 25 clothies are able to take down current raid content with only our pets. 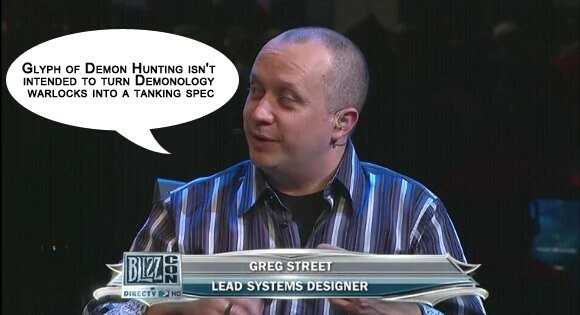 Despite Blizzard saying that we won't be tanks, this shouldn't be possible if true. 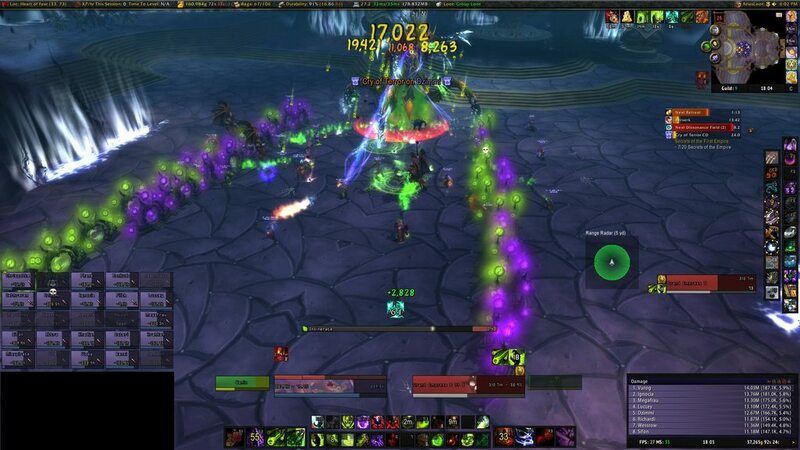 We should be squashed the first time the boss looks at us..
isn't intended to turn Demonology warlocks into a tanking spec. or tools of say a Protection paladin. So, we can't queue as a tank, but can take the tank role for short periods of time. Over the weekend, I was helping a level 84 priest level up via dungeons. It would have been really nice to be able to actually queue up for these ("Elkagorasa's level is too high"), queueing up as tank would have been awesome! 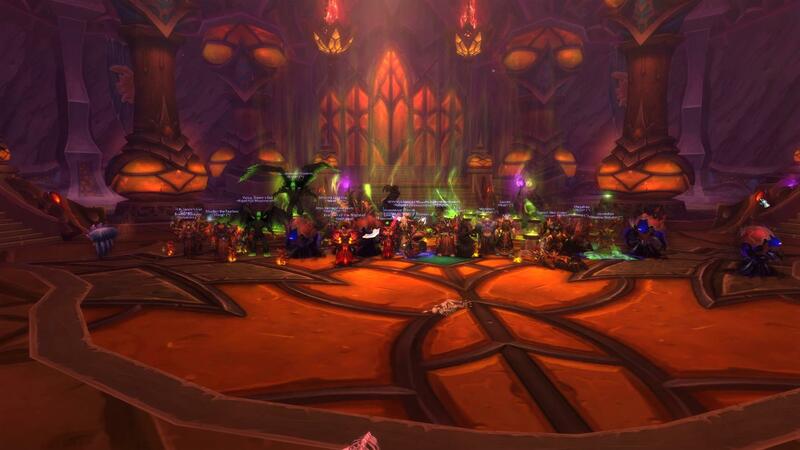 Still awesome that with 25 warlocks, they were able to finish the raid. I hope to see this done more with newer content.